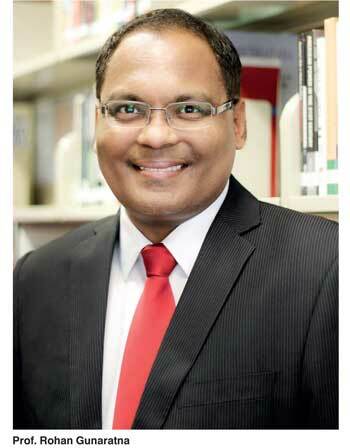 Sri Lanka must have a Sedition Act or Maintenance of Religious Harmony Act to prevent people insulting other people, especially different ethnic groups, Prof. Rohan Gunaratna of the S. Rajaratnam School of International Studies, Nanyang Technology University, Singapore, said. “Unfortunately, Sri Lankan leaders played ethnic and religious politics, seeded hatred and division and the country was dragged back 30 years,” he said. Prof. Gunaratna, who is also the Head of the International Centre for Political Violence and Terrorism Research, is of the view that Singapore’s survival and prosperity could be attributed to the country’s harmonious coexistence between different groups of people. “Without safety and security, the economy of a nation cannot grow. Sri Lanka went wrong mainly because of our short-sighted politicians, who played politics for their political and personal reasons,” he said, adding that the Sinhala Only Act, which was enacted during S.W.R.D. Bandaranaike’s government, had been absolutely unnecessary when all ethnic groups in Sri Lanka were living peacefully. Prof. Gunaratna said that by introducing the Sinhala Only Act, Sri Lanka had achieved nothing and the legislation had only destroyed the country’s security and stability and precipitated a 30-year civil war. Q: What are your comments about Singapore’s stance on maintaining ethnic and religious harmony? A: From the beginning, Singapore has understood that ethnic and religious harmony is paramount for economic prosperity. The government and their partners promote moderation, toleration, and coexistence. The government will not hesitate to act against those who seek to disrupt religious peace and ethnic stability. A: Ethnic and religious leaders take harmonious coexistence seriously. The diverse communities of Singapore understand that maintaining ethnic and religious unity is essential. The multiethnic and multi-religious schools promote diversity. Q: What do you think we can learn from Singapore in our reconciliation process? A: As I said before, Singapore’s founder father Lee Kwan Yew modelled Singapore on Sri Lanka in 1950s but after 1956 Lee himself was very disappointed with the developments in Sri Lanka, which had performed brilliantly only until 1956. Unfortunately, Sri Lankan leaders played ethnic and religious politics, seeded hatred and division and the country was dragged back 30 years. Not only to Singapore but also for other countries, Sri Lanka became a model and that was why they had drawn the Colombo Plan. People around the world, especially from South East Asia came to Sri Lanka to study our model. But since the end of the 1960s we have seen the reverse of the Colombo plan. Q: Where do you think Sri Lanka went wrong? A: Sri Lanka went wrong mainly because of our short-sighted politicians, who played in politics for their political and personal reasons. They brought the Sinhala Only Act which was absolutely unnecessary when all ethnic groups in Sri Lanka were living peacefully. By introducing the Sinhala Only Act we got nothing. It has destroyed the security and the stability of our country and we suffered in a 30-year war. It has also destroyed the country’s education system. Today, none of our universities are ranked universities. If we had stuck to English education, all our children would have studied in English and there would have been no need to translate the higher education books into Sinhala language. Since the translating of academic books is a tedious process, a very limited number of books can be translated a year. Knowledge is vast and we could translate only a few books into Sinhala. Therefore, we are producing substandard academics and professionals because of the Sinhala Only Act. Once, I asked the former Prime Minister Srimavo Bandaranaike about the Act and the situation, then she said that her husband, late Prime Minister S.W.R.D. Bandaranaike, was responsible for creating and bringing the Act. Sri Lanka and other countries must learn that their governments should not allow politicians to play politics with security. If you play with security then your country will get destroyed. Q: What about Singapore’s situation? A: Yes, with regard to Singapore, what late PM Lee did was, he understood the importance of having a balance between all the ethnic communities – Chinese, Malays, Indians, and Eurasians – in Singapore. He gave equal status to all these communities. Former President S.R. Nathan was of Indian heritage and the present President Halimah Yacob is from the Malay community. In Singapore, the presidency post gets rotated among all the ethnic groups to avoid any tension between them and also to treat them equally. Sri Lanka also should create a system where either the president or the prime minister post gets rotated among all ethnic groups. It is true that 72% of Sri Lankans are Sinhalese but we have to give some recognition to the others as well to have equality to maintain ethnic harmony in the future. Q: Do you think that Sri Lanka also needs to bring in the Sedition Act similar to Singapore? A: Yes, Sri Lanka must have a Sedition Act or a Maintenance of Religious Harmony Act to prevent people insulting other people, those from other ethnic backgrounds. The unethical behaviour of the Bodu Bala Sena (BBS) cannot be prevented under the existing Prevention of Terrorism Act. Once, I interviewed BBS Chief Galabodaaththe Gnanasara Thera, who told me that its ideology is based on British National Party, which is a racist party which has similar stances like the RSS in India, and Ashin Wirathu’s 969 movement in Myanmar. None of these has anything to do with Buddhism and Gnanasara Thera is using the cover of Buddhism and promoting disharmony in the country. Therefore, I think Sri Lanka must have a proper legal framework to prevent such unfortunate acts and incidents in future. Sri Lanka should start this in schools where students of all faiths and ethnicities are raised together. Segregation by ethnicity and religion at school level will create divided communities and a divided nation. A: Harmony Day brings people of different religious and ethnic groups together. They learn to appreciate the differences. No school in Sri Lanka should have only Sinhalese, Tamils, or Muslims students. All schools should be mixed and every school must have a harmony club, where children speak about their culture, traditions, gods, etc. Finally the most important thing is that the Government should promote more interactions between the South and the North. More travel, migration, and contacts need to be developed if we want to prevent future conflicts between ethnic groups. A: The Sri Lankan Government should pass a Harmony Act that makes it mandatory for all parties to work for harmony. Anyone who promotes division should be punished. Sri Lankan security should not be compromised for political and personal gains. Today, Sri Lanka can learn much from Singapore on how Singapore has maintained harmony. Here, there is a legal framework which says you cannot insult anyone’s ethnicity and religion. There is a Harmony Act and everyone is under obligation and duty bound to promote harmony. No one is allowed to take peace and harmony for granted. Everyone, including the government, private, religious sectors should promote harmony and are geared to fostering unity between Singaporeans. Harmony is the foundation of economic prosperity and late Premier Lee had understood it and he worked with Sinnathamby Rajaratnam, a man of Sri Lankan origin, who was the first Foreign Minister of Singapore to build the harmony model in Singapore. Today, we need similar leaders with a vision who can do that in Sri Lanka. Q: How do you see Singapore’s political leadership in reconciling all ethnic groups? A: Singaporean leaders are alert and vigilant about ethnic and religious fault lines. They know and understand the need to protect ethnic and religious harmony. Singapore’s survival and prosperity depends on harmonious coexistence. Without safety and security, the economy of a nation cannot grow. In parallel with raising a generation of children and youth who cherish ethnic and religious coexistence, the Government should draft a set of laws to regulate ethnic and religious peace. Anyone violating peace should be investigated, charged, prosecuted, and punished. Q: How do you feel about the commitment of the Sri Lankan Government and its people in the reconciliation process? A: The Sri Lankan Government has much more to do to protect the people from the resurgence of extremist and terrorist ideologies. The Government should not permit the celebration of LTTE festivals such as the commemoration of dead terrorists, including suicide cadres. If families want to mourn their dead they may do so privately but not collectively with LTTE flags and colours. After the defeat of Nazism, the display of Nazi memorabilia is proscribed by law. The Government should partner with NGOs and community organisations to create harmony clubs in every school and harmony centres in every district. Q: What role do you think the education of the politicians plays in this system? A: It is absolutely vital. It is very important for Sri Lanka to establish the Civil Service College like there is in Singapore to educate our political leaders. For every job, one needs training and a certificate to prove capabilities in the specific job. But this criteria does not apply to politicians. Therefore, the Government needs to set up an academy to train politicians and there should be a rule that without undergoing training at that academy no politician can enter Parliament. The Singaporean politicians are a brilliant lot as they have invested a lot in their politicians. They are technocrats and highly knowledgeable. Q: Is there a threat of LTTE resurgence? A: If governments neglect or tolerate ethnic and religious chauvinism, it will inevitably lead to the emergence or re-emergence of ethnic and religious political tension breaking out into violence. Some Tamil political parties promoted an extreme form of Tamil nationalism leading to the birth of the LTTE in the 1970s. The Sri Lankan State should closely monitor and if they disrupt harmony take firm action against mono-ethnic or mono-religious political parties. If Sri Lankan leaders are smart, they will pass legislation that permit only the registration of multi-ethnic and multi-religious parties in the future. Q: Is there a threat of Muslim extremism in Sri Lanka? A: Almost every country in South Asia has suffered from radical Islamic terrorism except Sri Lanka. However, Sri Lankan Muslims are a model community. They supported successive Sri Lankan governments to defeat terrorism. Sri Lankan Muslims held key military, police, and intelligence appointments to dismantle the LTTE. When their mosques were attacked by the LTTE, the Muslims suffered considerably as a result of their allegiance to the Sri Lankan State. With the emergence of the UN designated terrorist group – the so called Islamic State – a segment of the Muslims worldwide are influenced by exclusivist, extremist, and terrorist ideas. When these ideas from the Middle East infiltrate the Muslim communities, some abandon traditional Islam that has existed for centuries and embrace the desert-dwelling cultures and practices of the Arab world. Q: What can be done to prevent a riot between the Muslims and non-Muslims? A: Exclusivist ideas and ideologies and funds from the Middle East are creating socially-isolated pockets of Muslim communities in Asia including in Sri Lanka. 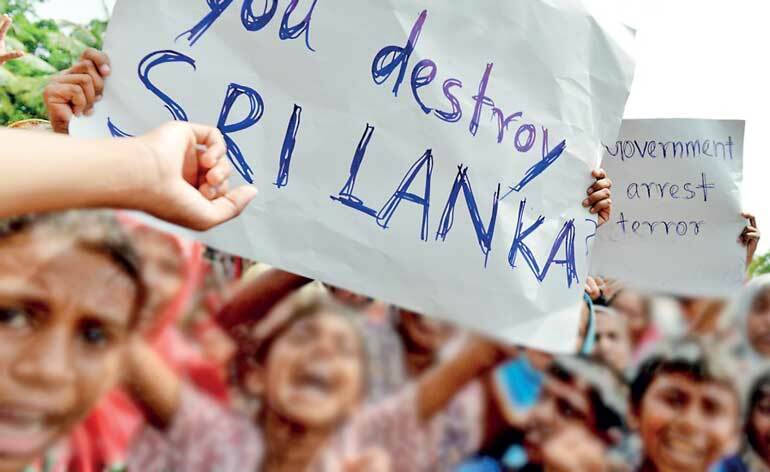 Far sighted Muslim leaders should work with the Sri Lankan Government to prevent the entry to Sri Lanka of radical preachers that call for the social isolation of Muslims and also review the funding and sale and publication of their poisonous literature. Sinhalese and Tamil leaders should work with the Muslim leaders to prevent extremist ideologies from penetrating the Muslim community. Similarly, concrete steps should be taken to prevent the emergence of Islamophobia among the Sinhalese and Tamil communities including the banning of Bodu Bala Sena and other extremist Sinhala and Buddhist groups.